October 22, 2017 October 23, 2017 - by HAHAPPY - 2 Comments. 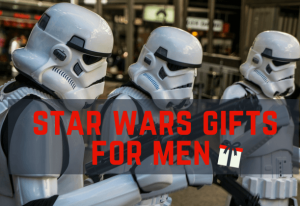 Every Christmas holiday you may have the same question: “What to get my man for this Christmas?” “What do men love?” “What are the best gifts for men who have everything?” No matter he is your husband, boyfriend, dad, brother or your best male friend, finding a truly unique Christmas gift for men can be a headache. 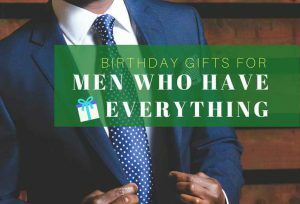 So, let us help you, and this is the reason why we have rounded up the list of unique Christmas gift for men 2017. 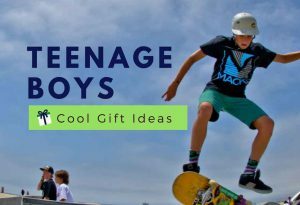 This year, give him something that is inspired, thoughtful, touching, on-trend, useful, exciting, luxurious, and even maybe a little fun. 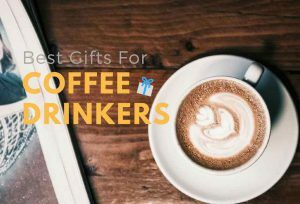 Whether the men on your gift list are into sports, tech, fashion, or coffee, we are going to offer you the ultimate list of the best gift ideas out there, and we’re pretty sure that our picks are great for you to get a start. 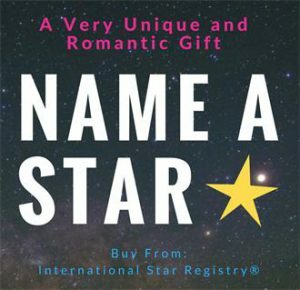 So, look no further and find out the perfect Christmas presents that will work out for him and touch his tender heart. Enjoy your shopping time! 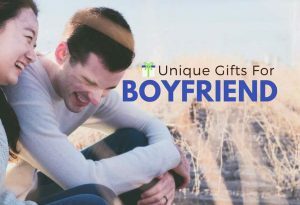 Looking for the best gift for your boyfriend? 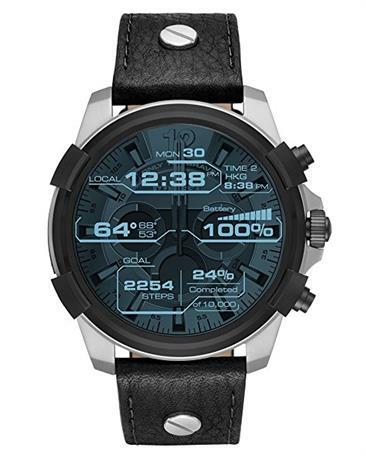 A stylish and high functionality Smartwatch without breaking your bank. This Diesel On Full Guard touchscreen smartwatch doesn’t miss a thing: incoming calls, email, texts, weather, your steps and calories burned, music, etc. 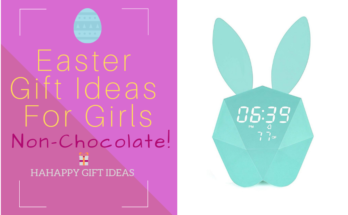 Best of all, it can be fully personalized by changing out the straps and selecting or customizing the watch face to match his look and activity. The perfect Christmas gift for men looking to take his home into the new tech age. Amazon’s new Echo Spot loads many useful features to set up his smart home with ease and help make his everyday tasks much easier. 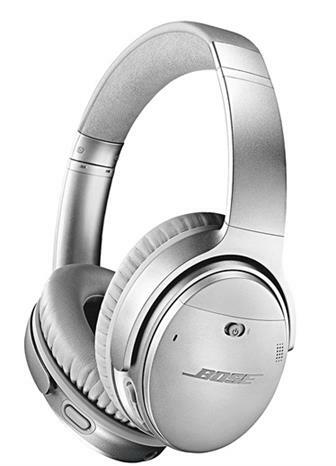 Bose makes his music sounds even better with their latest QuietComfort 35 (Series II) Wireless Headphones. Whether he is relaxing at home or working out, these in-ear headphones are great for his on-the-go lifestyle—they’re not only wireless but also stylish. 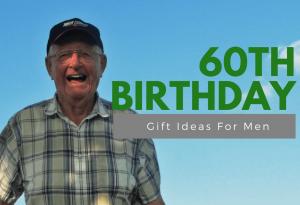 Looking for affordable Christmas gifts for the outdoorsmen on your gift list? You’ve found one. 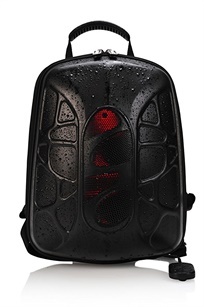 The Enduracool Multi-Cool is designed to be versatile and functional. 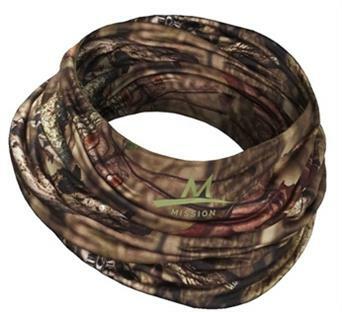 It can be worn in over 12 different ways to protect him from the sun’s harmful rays and help him keep cool. 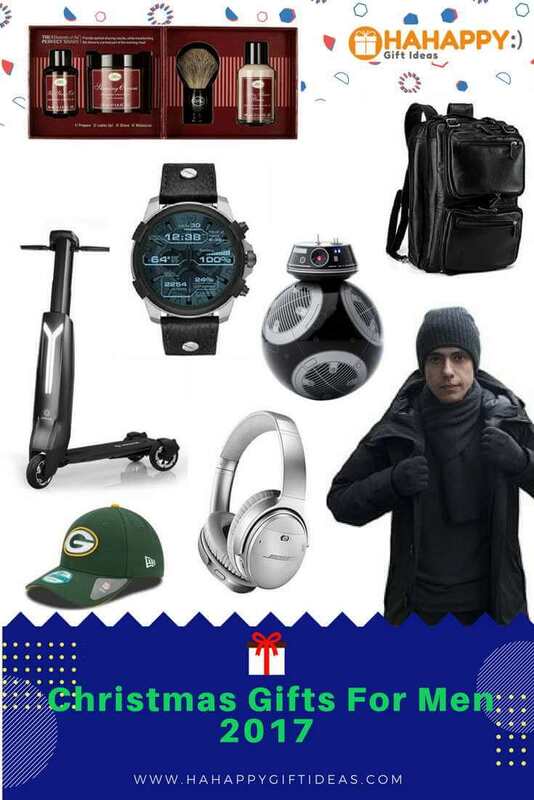 The man who loves outdoor activities and music will really like this awesome gift idea, a backpack that with Bluetooth speaker and power charger. The rugged design provides excellent protection for all his belongings and gadgets no matter the weather and adventure. Yes we know, no matter kids or grown men will spend hours playing with robots. 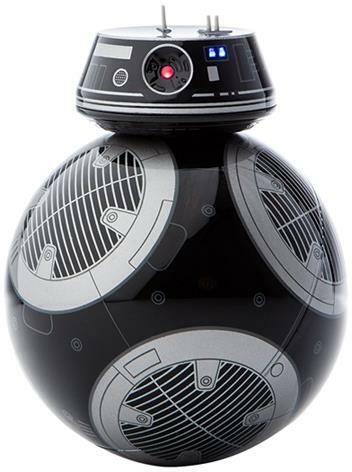 This smart Star Wars App-Enabled Droid makes the perfect Christmas gift for any men who love Star Wars! Just let the force be with him at this Christmas. 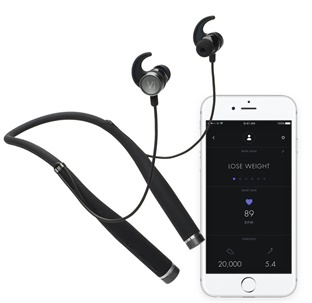 This all in one wireless Fitness Tracker – Vi – is the only sports headphone he’ll ever need. It is the First, True Artificial Intelligence Audio Coach designed with all the things he needs to set and meet his goals – training, tracking, music, heart rate. It also converses with him in a real human voice. 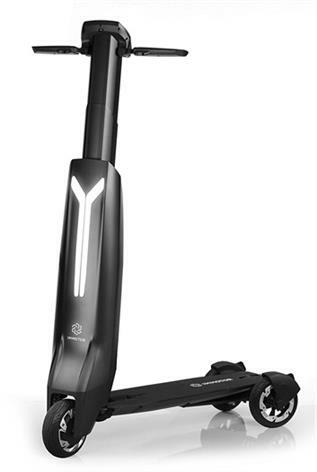 Can’t you just picture your man traveling with this intelligent electric scooter – GO? It is the first foldable electric scooter for adult and comes with 3 convenient modes – ride, power assist, and standby. Let him Go all out, Go Smart, and GO safe! 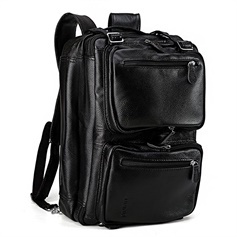 You can’t go wrong giving a good leather backpack for any guys who always need to carry their laptop. This stylish backpack is really in high quality and with affordable price. It holds a 15-inch laptop and is made of genuine leather. If he loves old school shaving methods, that means this is the ultimate Christmas gift kit for him. This kit has everything he needs to enjoy the perfect shave experience. The set includes a Pure Badger Shaving Brush, Pre-Shave Oil, Shaving Cream, and After-Shave Balm. Go over the moon with him in this Christmas! 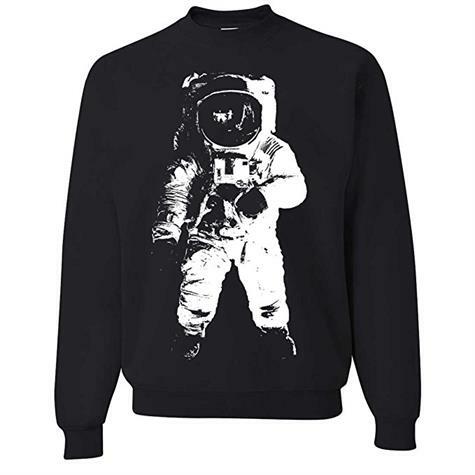 This awesome astronaut crew neck is inspired by humanity’s cosmic achievements and features a huge astronaut print. He’ll sure feel cool showing the love to his favorite spaceman. 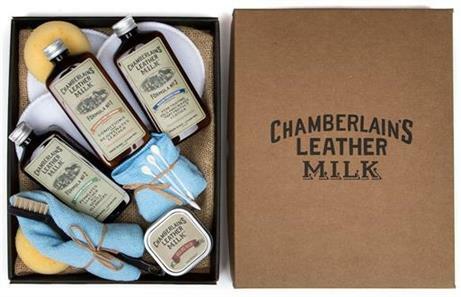 Help him keep his favorite leather goods in looks like new with this Leather Restoration Kit. 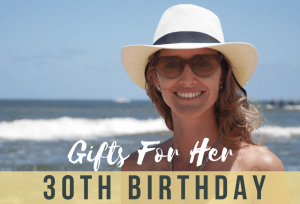 It comes with five detailing application tools and four natural treatment that packed in a beautiful gift box with burlap wrapped. He’ll never miss a turn again or any calls during driving. 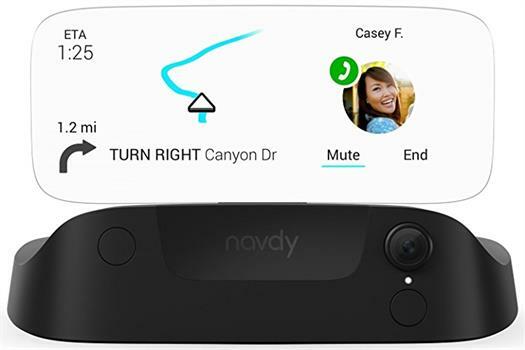 This Heads Up Display & GPS Navigation from Navdy is the world’s first GPS system lets him look forward while staying connected. It displays all the information he needs as a transparent image over the road ahead: map, dash, music, message and more. Give him something looks great and does good. This reusable bottle from S’Well keeps his drinks hot for 12 hours and cold for 24. 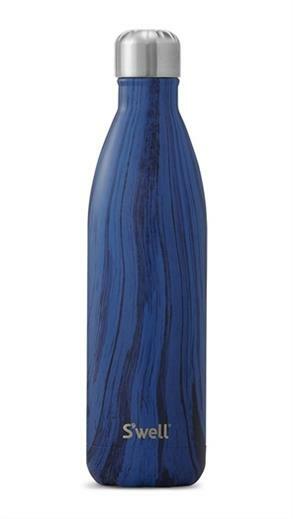 All the S’well bottles are beautifully crafted composed of non-toxic and non-leaching stainless steel. 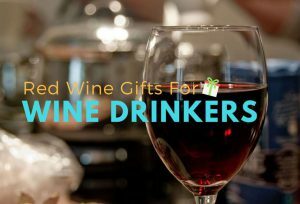 It’s perfect for water, coffee, tea, juice or even wine. 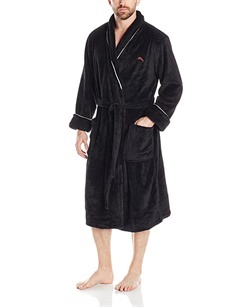 Let him lounge around in this plush robe and feel like the king of comfort in the coming Christmas season. This gorgeous robe features iconic sailfish embroidery and has two pockets for his stuff. Warm, comfortable and machine washable. Any football fans on your gift list? Let’ celebrate the joy of Christmas with his favorite NCAA team’s fight song! 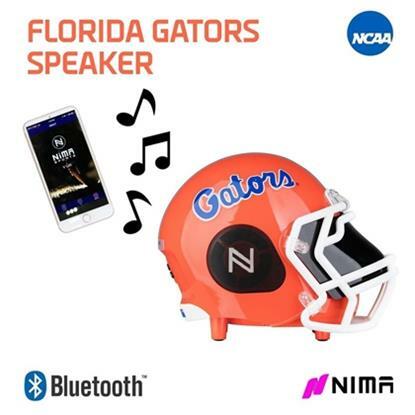 This football helmet speaker provides ultimate portable audio experience for die-hard fans everywhere. It not just looks great, it sounds great too. If he loves vinyl, that’s where you come in. 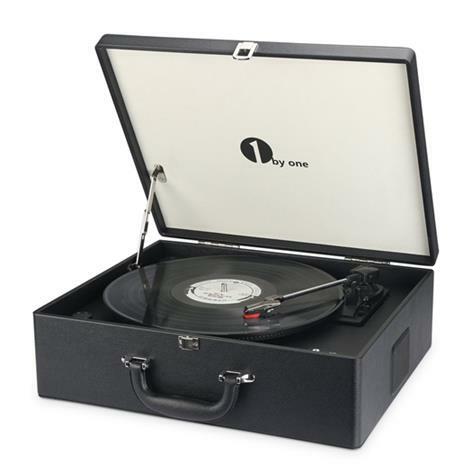 This fully portable turntable with a speaker is perfect for him rocking round the clock anywhere, anytime during the Christmas holiday. It is specially designed for easy transport, whether by car, train, plane or even just from living room to the bedroom. This is the only Portable Charger he’ll ever need. 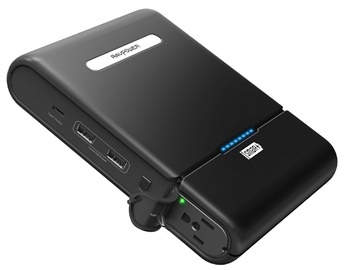 It has 27000mAh capacity and three different USB ports to tackle all his charging needs anytime and anywhere. What’s the best? It is designed with air vents to keep the charger cool and safe throughout the operation. 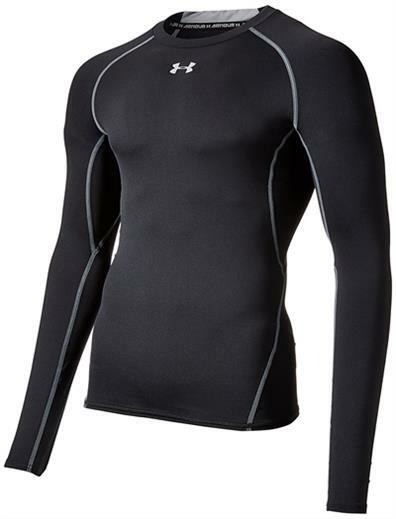 This warm love sleeve shirt is the perfect gift for him to going on a run in the cold weather season. It features UPF 30+ that protects his skin from the sun’s harmful rays. It also comes with 4-way stretch fabrication that allows great mobility in any movement. For the men who have everything: a good watch, phone, sunglasses, pens, rings, cufflinks, necklace, cash, wallet, keys, collar stays and more. 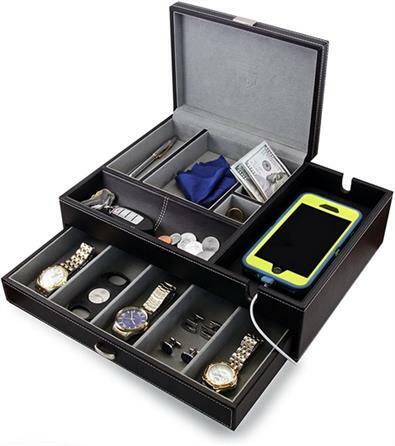 This leather box organizer will give him the perfect place to store it all at the end of the day. 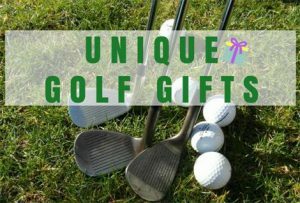 Finding thoughtful Christmas gifts for your boyfriend? Then give your loved one some extra warmth with essential accessories. This 100% cashmere set comes with a scarf, a beanie, and a pair of gloves. 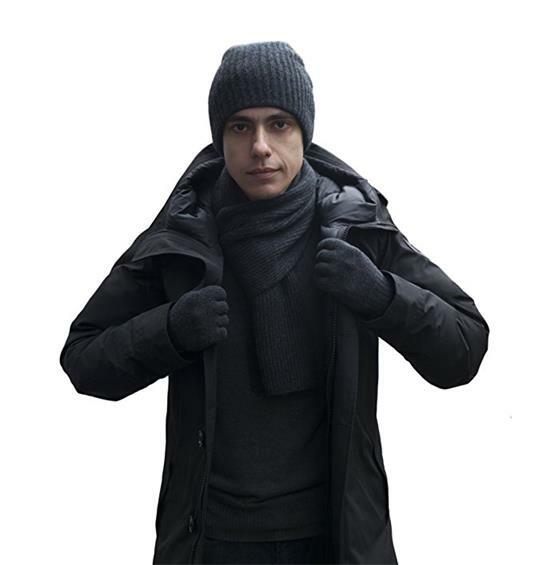 No matter what his style, these incredible set will keep him warm and stylish during the cold Christmas season. This mini Espresso maker is perfect for any men who love coffee and are always on the go. 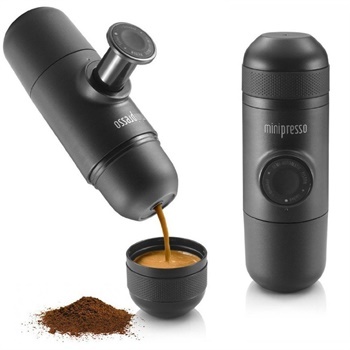 With this easy to use Minipresso, he can make his favorite espresso anywhere, anytime. The best part is that this is hand operated, no batteries and no electric power needed. The best gift is the one that he can use every day, and he’s sure to want to use this beautifully crafted wallet for over 20 years. 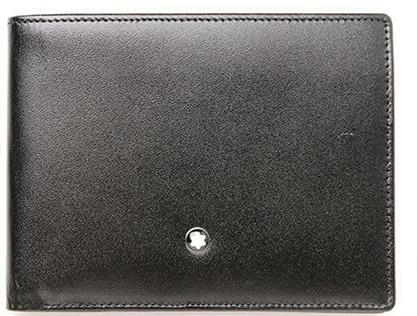 It is made of black full-grain cowhide with unique Montblanc jacquard lining and comes with six sections for cards and two currency slots. If you’ve got a guy who is a diehard NFL fans, then this is a great and affordable Christmas gift for him. 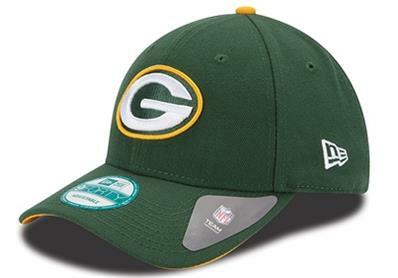 These great looking basic strap back caps are available for 30 different teams. It fits perfectly with all silhouette, and you never get wrong with New Era Hats. Does he love Beatles? Does he love socks? 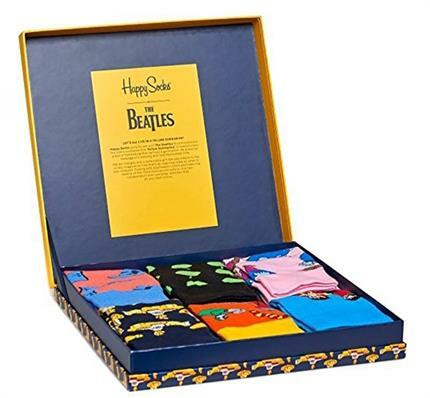 At this Christmas, help him celebrate the 50th anniversary of the most iconic vinyl album from The Beatles. The colorful design, comfortable quality, and beautiful packaging make it become an excellent Christmas gift. 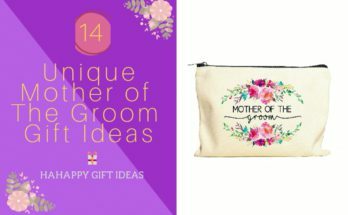 You have so many great gift ideas all in one place!! I love your site! 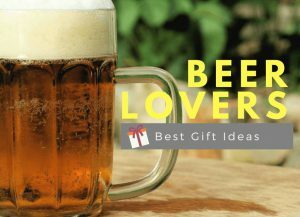 Completely takes the guess work out of buying gifts for the men in my life. I have 2 that I know exactly what to get most of the time but have 3 more that I am not close enough to that I would know what to get but your website has suggestions that I cannot go wrong with!! 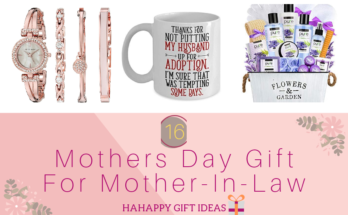 I also really enjoy that there are also options for things that I would never have thought a man would think to ask for such as the spa gifts and the espresso maker.